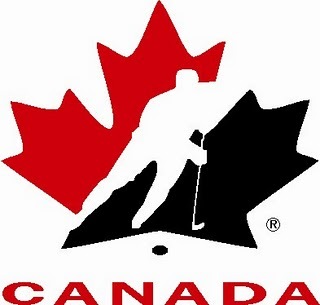 Today Team Canada will be announcing its roster for this years World Junior Tournament. Hopes are high for the Kingston Frontenacs Ryan Spooner to be on the Canadian squad going for Gold. The Kingston Frontenacs are struggling this season with a 7-15-2 record, and second last overall in the Ontario Hockey League with only 17 points. While the team is having trouble winning, center Ryan Spooner is having all kinds of success. Spooner, a Kanata, Ontario native, was drafted fifth overall by the Peterborough Petes in the 2008 OHL Priority Selection Draft. In his first two seasons with the Petes, Spooner scored 112 points in 109 games. Last season, Kingston acquired Spooner in a deal after he requested to be dealt. Since joining Kingston mid season, Spooner played 50 games and scored 62 points. Spooner was selected by the Boston Bruins in the 2010 NHL entry Draft with their second round pick. After a brief audition at the Bruins training camp this summer, he was reassigned to Kingston for another season of junior. Spooner is off to a tremendous start in the 2011-2012 season. In 24 games, he has 12 goals and 17 assists for 29 points. In the week ending November 13, he was selected as both OHL and CHL player of the week. In the three games he played that week, he had four goals and six assists. Two of the goals came while short handed and another was on the man advantage. His performance in those games also earned him two first, and one second star recognitions. Spooner also represented team OHL in the Sub-Way series helping team OHL skate to a 10-7 win over Team Russia. He scored a goal and had two assists to earn the player of the game honors for team OHL. As the holiday season approaches, talk and speculation concerning who may be selected to represent Team Canada at the annual World Junior Championship is heating up. With the impressive start to Spooner’s play, he is certainly receiving serious consideration. Spooner has represented Canada on the ice before. He won Gold at the 2009 under-17 championship and finished tied for third overall in tournament scoring with 10 points in six games. Spooner won Gold a second time with Canada at the 2009 under-18 Ivan Hlinka Memorial Tournament. He also played for Canada in the 2010 under-18 World Championship. The World Junior tournament is an extremely prestigious event. The competition to play for team Canada will be fierce. Making Team Canada is often the pinnacle of many players’ career. Should Spooner make the cut, it will be the most significant achievement of his young career to date. Posted by pharling at 11:22 a.m.